A book launch is always special, but sometimes events conspire to make it spectacular—like when the launch occurs at a unique yet perfect venue. Jon McGoran’s thriller DRIFT tackles the shadowy world of GMOs and their threat to natural farming and to society. Jon has also been a life-long supporter of agriculture and environmental issues. 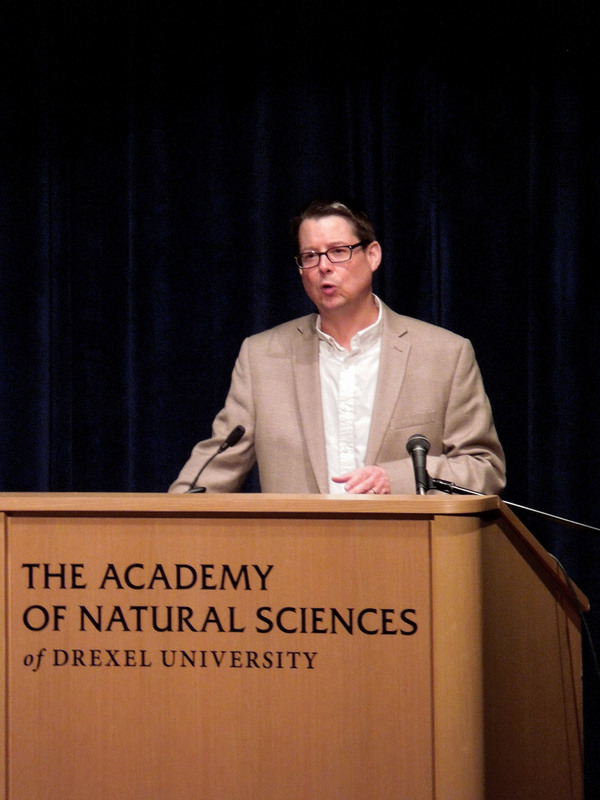 So launching DRIFT at Philadelphia’s Academy of Natural Sciences of Drexel University seemed almost like destiny. The regal stone building houses mysteries of nature from butterflies to dinosaurs, yet welcomed us warmly. A large crowd flowed into the amphitheatre, where Jon held court with his audience. Jon spoke a bit about the road that had led him to writing DRIFT, about the moment when his day-job passion for the environment and his writer’s passion for thriller collided into the story that would become DRIFT. He spoke eloquently about some of the concerning issues touched on in the book and the fight to gain transparency into America’s food supply. Then Jon read three excerpts from DRIFT. His voice resonant and vibrant, he brought his book alive with fervor and touches of light humor that served to deepen the shadows gathering in his narrative. He held us breathless during his reading, turning us loose only when he ducked out to get to his book signing table. The audience streamed from the auditorium and crushed into the bookstore to buy DRIFT. I was lucky enough to be first in line. By the time I made my way back out of the shop, the line snaked out the door, around the information desk and back toward the stairs. The line to see Jon and get him to sign the book grew as quickly. Undaunted by the gigantic T. Rex skeleton behind him that seemed ready to eat him, Jon smiled at the friends and family and fans who had come out to see him. Ever gracious and ready to laugh, Jon seemed to enjoy taking time to chat with everyone who came through the line. The setting was majestic and the atmosphere convivial, but the thing that has stayed with me was how Jon managed to make it a community affair. 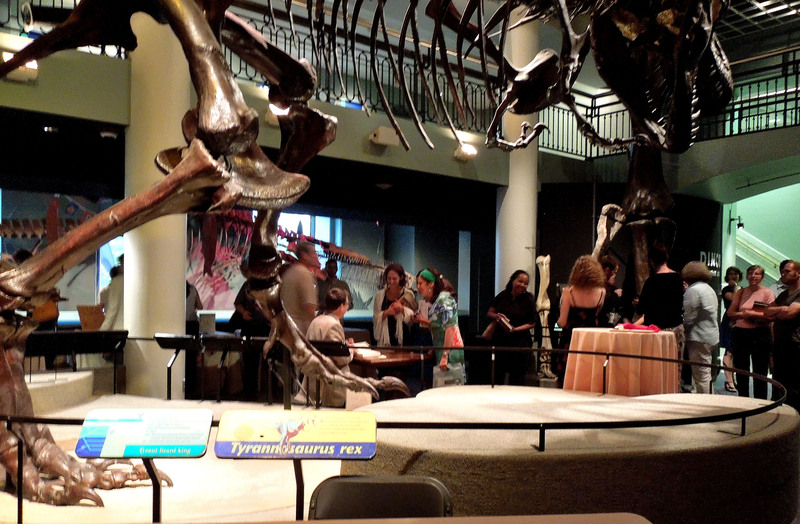 In the hall of dinosaurs were tables manned by representatives of various environmental groups. Guests could speak to them, ask questions, and pick up brochures about their causes. By including the environmental groups, Jon managed to expand the launch to include the world at large, not just the bookish among us. 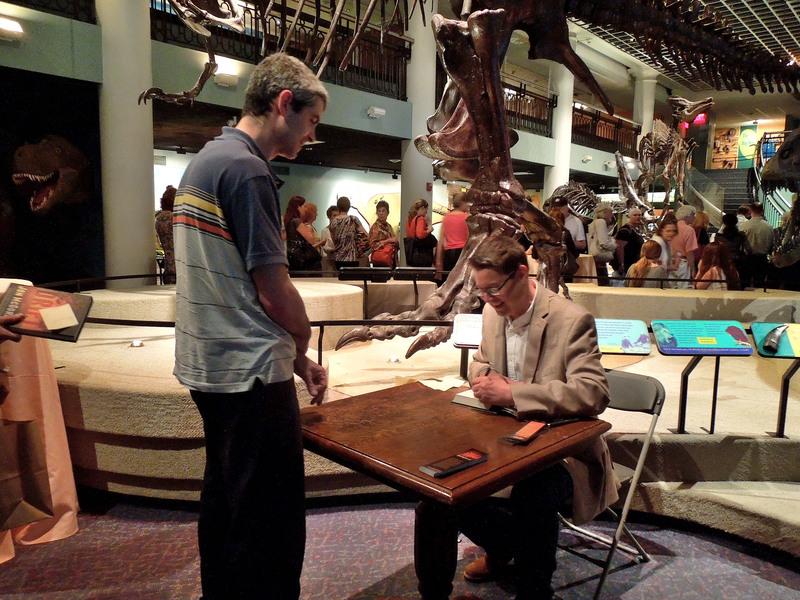 He used his book launch to shine light on issues he is passionate about, without being pedantic or bludgeoning his guests over the head with a dinosaur bone. By making the book launch about more than just him and his book, Jon embraced a larger community and made his book relevant to more than just the regular thriller crowd. The party rolled on well past the official 8 PM closing time. 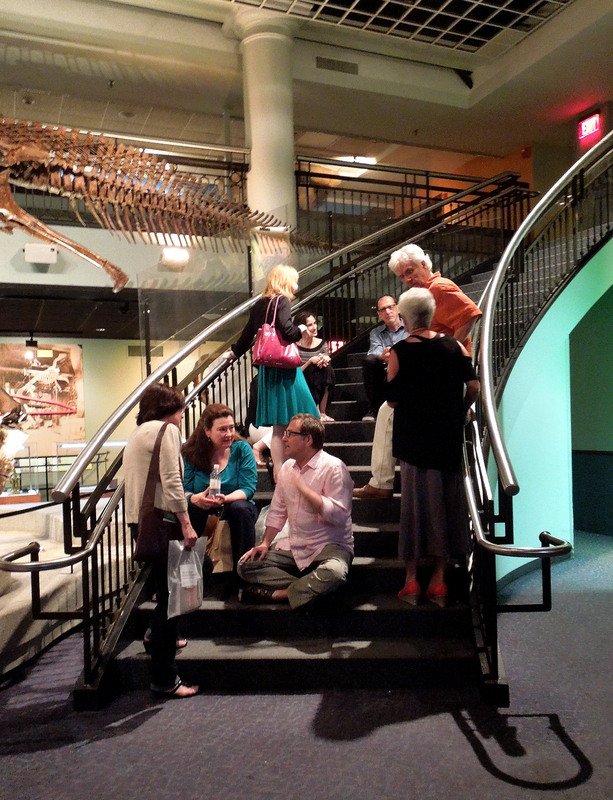 Slowly, people seeped out of the room, once again leaving the hall to the dinosaurs. Four of us Chroniclers managed to attend, and we all agreed that the launch was elegant yet accessible and a model of how a good launch should be done, whether at a small bookstore or at the Academy of Natural Sciences–simple, inviting, energetic, and joyful–a fitting celebration of an accomplishment achieved. Congratulations to Jon McGoran and DRIFT! Jon was one of our guest bloggers for our 2011 Mystery Month celebration. Jon McGoran is the author of Drift, a recently released ecological thriller from Tor/Forge Books. 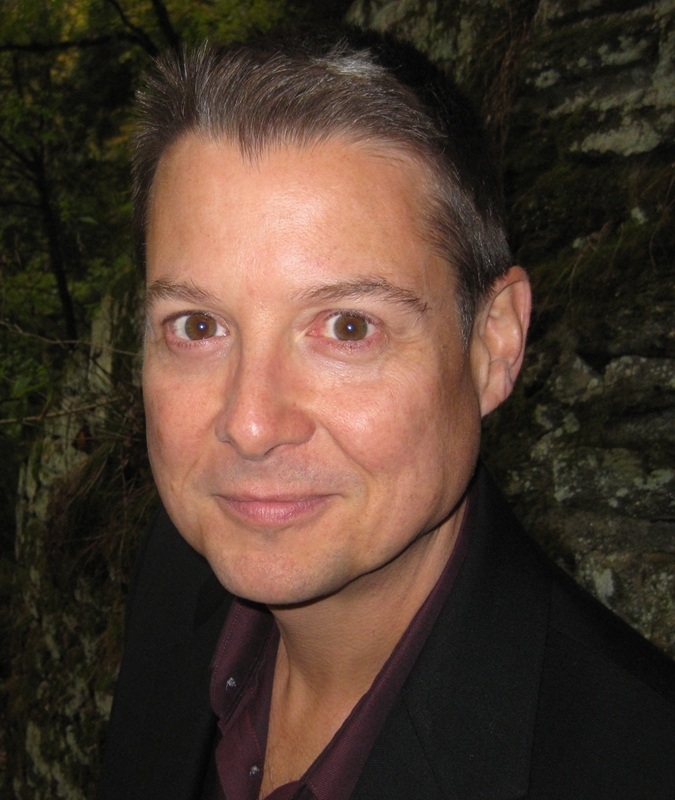 Writing as D. H. Dublin, he is also the author of the forensic crime thrillers Freezer Burn, Blood Poison, and Body Trace, from Penguin Books. His short fiction, nonfiction and satire have appeared in a variety of publications and anthologies. He is a member of the Mystery Writers Association and the International Thriller Writers and a founding member of the Liars Club.